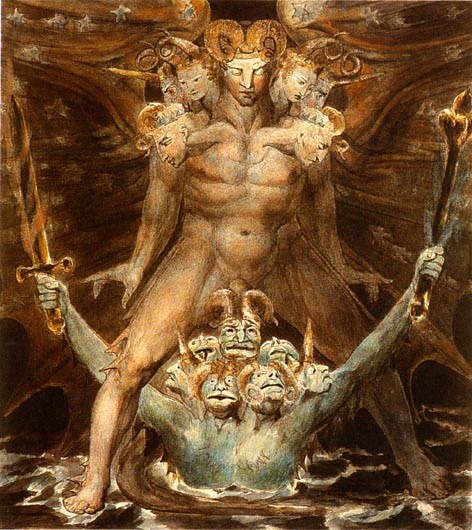 The Great Red Dragon and the Beast from the Sea by William Blake. For some reason, this painting came to mind as I was visualizing what NATO has spawned in Libya ~ and then released upon the Muslim world ~ to work its evil. 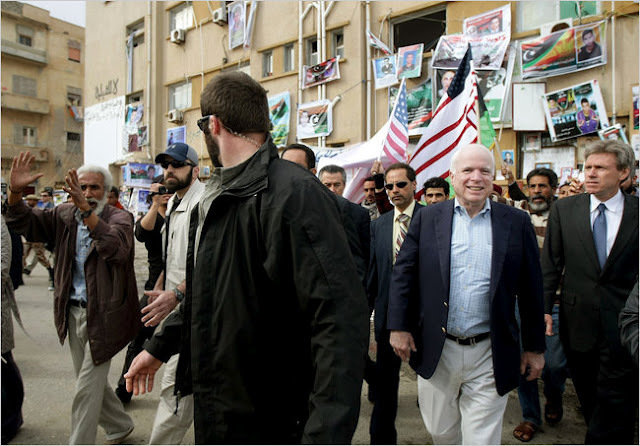 Update: The picture below of John McCain in Benghazi, during the violent military subversion of Libya in 2011, includes the now deceased US Ambassador John Christopher Stevens on the right, wearing a blue tie. Stevens has now become a victim of the very terrorists he played a role in creating. The caption below has been edited to reflect this information. Editor's Note: With Russia openly accusing the West of using Al Qaeda as their direct, militant proxies in Syria and beyond, this latest attempt to purposefully provoke and incite Muslims across the Arab World is an attempt by the West to reestablish the perception that the US and Israel are at war with sectarian extremists, not partnered with them. The film allegedly at the center of the violence, most likely came from the Neo-Con "Clarion Fund" or a project of similar origin. 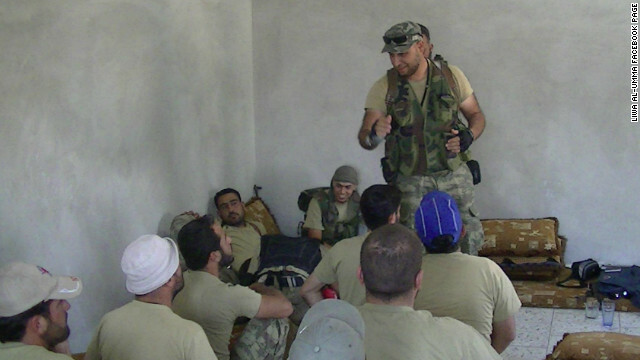 “I have met with these brave fighters, and they are not Al-Qaeda. To the contrary: They are Libyan patriots who want to liberate their nation. We should help them do it.” ~ Senator John McCain in Benghazi, Libya April 22, 2011. McCain’s “Libyan patriots” have now murdered US Ambassador John Christopher Stevens in the very city McCain spoke these words. An assault on the American consulate in the eastern city of Benghazi, the epicenter of not only last year’s violent subversion and destruction of sovereign Libya, but a decade’s old epicenter of global terrorism, left Ambassador Stevens dead along with two of his aides. stems from an anti-Islamic film produced in the US. In reality, the coordinated nature of the attacks on both the US Embassy in Libya, as well as its embassy in Cairo, Egypt, on the 11th anniversary of 9/11, are most likely using the Neo-Conservative Clarion Fund-esque propaganda film as a false pretense for violence long-planned. The Clarion Fund regularly produces anti-Muslim propaganda, like “Iranium,” specifically to maintain a strategy of tension using fear and anger to drive a wedge between Western civilization and Islam to promote perpetual global wars of profit. Image: Criminal warmonger Senator John McCain in the terrorist rat nest of Benghazi after marshaling cash, weapons, and political support for militants tied directly to Al Qaeda. McCain’s insistence that the terrorists he helped arm and install into power were “not Al Qaeda” runs contra to the US Army’s own reports which state that Benghazi’s terror brigades officially merged with Al Qaeda in 2007. McCain’s “Libyan patriots” have now killed US Ambassador Stevens with RPG’s most likely procured with cash and logistic networks set up by NATO last year, part of a supranational terror campaign that includes violently subverting Syria ~ a campaign McCain also supports. Indeed, the US Army’s West Point Combating Terrorism Center (CTC) noted that Benghazi and the neighboring city of Darnah served a disproportionately high role in supplying foreign fighters to wage terror against the people of Iraq and Afghanistan ~ foot soldiers brought in to fuel a destructive and divisive sectarian war that undermined a united Sunni-Shi’ia resistance to Western troops who had invaded. 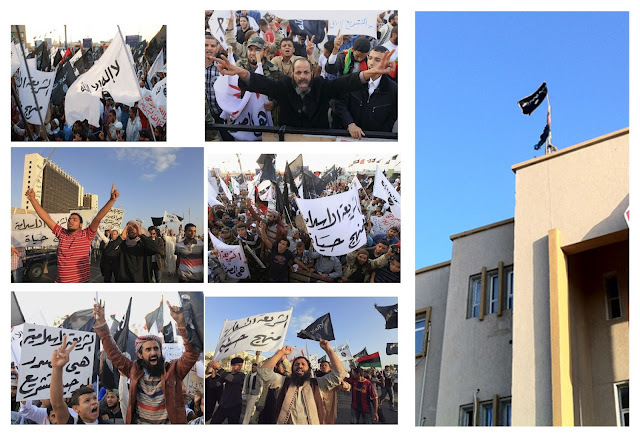 Image: In Benghazi, in front of the very courthouse McCain and other representatives of the West’s corporate-financier driven foreign policy voiced support for Libya’s terror brigades, sectarian extremists took the streets waving the flag of Al Qaeda, even hoisting it atop the Benghazi courthouse itself. Despite a concerted effort by Western media houses to portray Libya as in the hands of progressive democratic secularists, the country was intentionally handed over to extremists to serve as a base of militancy to destabilize and destroy targets of Western interest around the word. These same terrorists are now not only the defacto rulers of much of Libya, but are leading death squads in Syria and arming militants in Mali, an exponential expansion made possible by a non-partisan effort including Republicans and Democrats, as well as Bush-era Neo-Conservatives who concurrently lead both anti-Islam propaganda while leading calls to arm the most radical sectarian extremist groups, including groups directly affiliated with Al Qaeda. Not only has US policy been exposed as not “promoting democracy” but purposefully spreading destabilization, violence, and terrorism, but the exact same militants behind the death of the US’ own ambassador are literally leading US efforts to visit the same violence, destabilization, and chaos upon Syria. Image: Libyan Mahdi al-Harati of the US State Department, United Nations, and the UK Home Office (page 5, .pdf) listed terrorist organization, the Libyan Islamic Fighting Group (LIFG), addressing fellow terrorists in Syria. Harati is now commanding a Libyan brigade operating inside of Syria attempting to destroy the Syrian government and subjugate the Syrian population. Along with “War on Terror” proponent John McCain, Al Qaeda’s LIFG and America’s Neo-Con establishment are now operating in tandem, as well as in direct contradiction to a decade of “War on Terror” propaganda. It should be remembered that those who signed this statement, including Elliott Abrams, Max Boot, Ellen Bork, William Kristol, Paul Bremer, Paula Dobriansk, Douglas Feith, Robert Kagan, Clifford D. May, Stephen Rademaker, Michael Weiss, Radwan Ziadeh, were among the very engineers of the fraudulent “War on Terror” that McCain himself is such a fervent supporter of. Radwan Ziadeh, last on the list, is in fact a “Syrian National Council” member ~ one of several proxies the US State Department is hoping to slip into power in Syria. With Libya’s “democratic progress” exposed as only tenuously covering up NATO’s creation of a nation-wide safe haven for Al Qaeda terrorists to subsequently be deployed against the West’s political enemies across the Arab World and beyond, it will be even more difficult, if not impossible to continue promoting this same “change” in Syria. has been overrun by terrorists. And even as the US buries its own ambassador, killed by terror brigades it itself armed and thrust into power through covert and direct military intervention, in a nation now wrecked by sectarian and tribal infighting, it insists on replicating its “success” in Syria. Russia, China, Iran, and a growing number of nations have been opposing this campaign of supranational terrorism ~ with the death of Ambassador Stevens laying bare the true nature of America’s proxy “freedom fighters,” the list of global opposition will only grow, leaving only the most shameless and deeply invested to defend America’s invasive and bloody foreign policy.